Is your kid too cool for a lunch box, making it difficult to find a container to carry his midday meal? Maybe you’re concerned about the items being kept cold enough for consumption. Whatever your issues in finding the best lunch box for your child is, you can bet that there is a solution available! 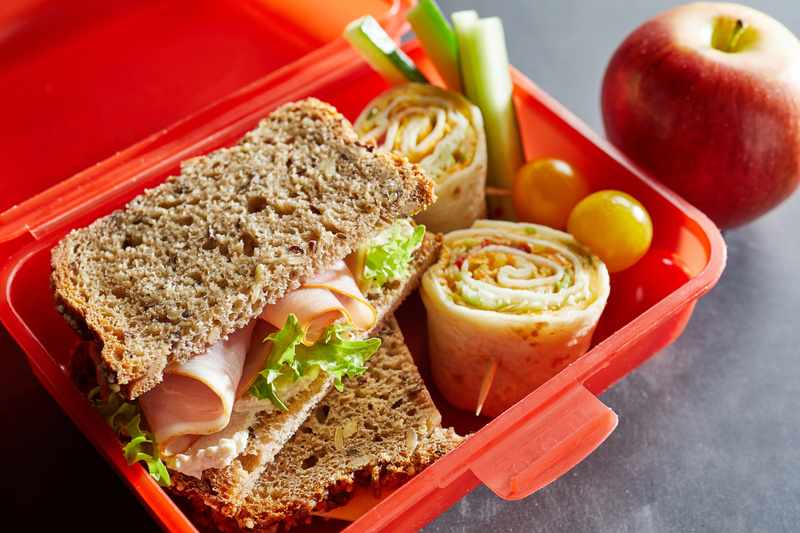 We are going to take a look at several tips for finding a lunch box that will keep your little one happy, safe, and healthy. Additionally, we will attempt to put to rest any worries you may have about this helpful nutritional tool. Keep reading for more information! School children can be quite judgemental over trivial things like lunch boxes. Allowing your child to choose a design that appeals to them may limit any bullying that may take place. Also, if your child is proud of their lunch box, you will be met with far less resistance when it comes time to go to school. If you aren’t against using ice packs to keep the lunch cold, consider a vintage lunch box. You may even find one or two that you want for yourself! Many children stuff their lunch boxes into their book sacks or other random nooks and crannies. If the box is well-made, it will be able to stand up to this abuse. If a solid lunch box seems more expensive than the others, remember that they will hold up to a full school year, and maybe even some summer trips. You don’t necessarily have to purchase a hard-sided lunch box to see these benefits either. You may just have to opt for sturdy materials. Other considerations that should be made as far as the structure is concerned is the number of pockets or dividers you’d like, and whether you’d like to place items side by side or stack them. Unfortunately, because of the amount of abuse a lunch box will take, it is likely that a drink, sauce, or some other liquid will spill. Luckily, because these containers are small, they are relatively easy to clean. Do you know what’s not easy to clean? An entire backpack filled with important papers, report cards, text and workbooks, and school supplies. Triple check your child’s lunch box to ensure that it will self-contain any spills that may occur. Aside from keeping spills contained within the lunch box, read the labels before you purchase to find out the best way to clean the box. Some might have the ability to be tossed in with your laundry, while others may simply need to be wiped down with a cleaning solution or soap and water. Keeping food cold can be difficult. If you choose to use ice packs, you may end up with a few damp napkins, but the food will likely be safe. Choosing an insulated lunch box will do that much more to ensure your child’s food safety. Depending on the style of lunch box that is chosen, you may be able to freeze the lunch pack the night before and opt out of ice packs altogether. Another idea for keeping your child’s lunch cold can include using stainless steel containers, frozen prior to packing and freezing a water bottle the night before. The water will act as an ice pack and provide your child with a lunchtime beverage. Some lunch boxes may only have a handle, while others may include a strap or carabiner to attach it to other various items. If your child has a lot of things to carry to and from school, attaching the lunch box to a bookbag could be important. Look at the stitching of any handles to ensure that the box will be able to carry a full meal without the potential of breaking. Also, know that it isn’t unheard of for children to swing their lunch boxes or horse around–potentially breaking or tearing the material used to hold things in place. You don’t want your child to go hungry while at school–which means you will want to pack a hearty lunch. However, if you choose a lunch box that is too small, you may end up with a packing nightmare each day. Instead of choosing a lunch box that you believe is ‘just right’ in size, go for bigger than what you think you’ll need. After all, it is better to have a bit too much room than not enough. While we’re talking about sizing and packing, take a look at how the lunch box will close. Does it zip, snap, or fold? This question will help you determine whether the container is age-appropriate, how well it can contain spills, and possibly how well it will keep food cold. There are plenty of lunch boxes available that include small containers for packing. These small containers are both environmentally friendly and less costly than using disposable packing. Generally, reusing your child’s lunch packing materials may take a bit more time but will end up saving you a fair amount of money. You will end up buying far fewer plastic baggies, which will also mean less plastic in landfills. Although there are plenty of tips on how to choose the best lunch box, it comes down to what works for you and your child. Ideally, the lunch box should keep food safe and contain spills. However, if the lunch box itself isn’t designed to stay cold, ice packs can be used, and if spills happen, they can be cleaned. The most important part of a lunch box is that your child actually eats the meal you pack. If it’s in a 50’s cartoon lunchpail, so be it! If you’d like some ideas of what to pack in your child’s lunch (or your lunch, for that matter,) take a minute to check out our budget-friendly meal planning resources!